As a consultant who has worked with over 60 companies in the last 6 years (and run businesses for 15 years prior to that), spotting (and ultimately fixing) the holes in sales organizations is a predictable process. Business is all about patterns. And when you have a process to detect existing patterns, mold those patterns into best practice, and inspire the sales teams to take appropriate well managed actions, you create a winning and profitable sales growth model. Remember, as a business, you are getting the exact results your design calls for. In other words, the patterns you run over and over (called habits) create your results, like them or not. You want different results? Change the design/patterns of how you run your sales teams. Where do you start? You must first understand where you are before you can get where you want to go. Begin with an in-depth audit on the various pieces and parts of your Sales Process. Go up and down your sales process, from beginning (proactive lead generation), middle (first meeting, discovery process, presenting, handling objections, etc. ), to end (closing, managing ongoing relationship growth). Simply look for patterns. Match these patterns up with global best practices to understand what changes you need to make to drive results. After doing this so many times, most of the mistakes we find are uniform. 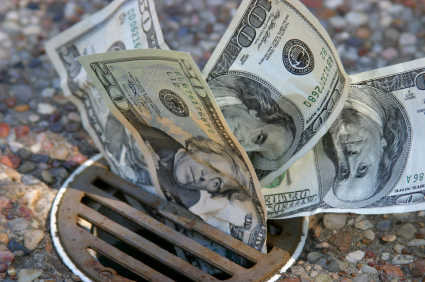 Most companies are making mistakes that are costing them. The good news? We’ve taken our decades of helping tens of thousands of businesses and broken it down for you. Here are the top 3 Most costly sales mistakes we see at CHI, you can assess your team to understand where you are. 1) You do not have a clearly defined process, and are not actively training to that process. I was doing an audit interview of a new client this week, and I asked him about sales process and sales training. His response was “Yea, I know that’s important, but I mainly focus on hiring people with sales experience.” Now, you are probably thinking, “OK, so you are assuming someone ELSE trained them at excellent levels?” This is HIGHLY unlikely. Great sales organizations have a well defined process, and they train to it constantly. Skill development is a weekly MUST for them. Excellence in the process is not a ‘hope to have skill’, it’s a mandatory skill. 2) You do not have traceable metrics that match up to every step of the sales process. Many organizations are tracking revenue, but what about the step-by-step movement of opportunities within their sales cycle? The knowledge and strength you gain by committing to this is massive. We have a saying “Inspect what you expect.” Be able to assess (and coach) your sales people on how they are moving deals through the pipeline at any moment. Companies that instill this level of tracking with their sales people are quickly able to truly understand if deals are moving, or not and at what speed. This way you can see if your top producers are laser focused on moving each deal one step further. Your goal is to have EVERYONE on your team doing the same. These core questions are exactly what their prospects want to know. And, if these salespeople meet with prospects day in and day out, they should be able to flawlessly answer those 4 questions—at a minimum. Here’s the challenge: I have yet to go into any situation where a salesperson provided a compelling answer to those questions. The great perspective on this is there is a MASSIVE upside in working with these salespeople. 1) Great sales organizations have a clearly defined sales process that every team member can explain and demonstrate. They practice regularly to create and assure mastery. 2) Great Sales Organizations create traceable metrics. They know what gets measured gets managed. What gets managed gets done. Period. Stop shooting darts in the dark. Get the help you need to get laser tracking metrics in place to help you create a culture of high performance. 3) Great Sales Organizations have laid out, to the letter, their sales messages and their stories. Their salespeople can clearly communicate what makes their company/product/service different. They know what problems they solve for people. They can easily and confidently tell stories (i.e: case studies) of your top clients. Being able to “sell the story” is far more compelling than the features and benefits of your product. As the leader of the business, taking every step possible to create this level of discipline and mastery in your business is truly one of the most PROFITABLE skill sets you can bring to the table.